This may sound like I was making a joke, something many moms say after a particularly trying day or week with the kids and a husband out of town. The night before, as I was sitting on the floor playing with my toddler son, my mind suddenly began racing with absurd and fantastical thoughts. My home transformed around me into a frightening, unrecognizable world. I was convinced it was haunted and something evil was trying to get my 2 1/2 year old son. My heart was pounding out of my chest, I couldn’t breathe, I got sick to my stomach. In my frenzied state, I managed to call a friend who came and spent the night with me. She dropped off my son at daycare in the morning and I drove to my doctor’s office. I sat there in the parking lot, waiting for the office to open, hoping they would see me. My doctor walked through the door of the examining room where I sat on the table shaking uncontrollably. I launched at full speed into a complete confession of all my sins of motherhood failure. Once I finally got it all out, I stopped and looked at him with nervous anticipation, assured of my certain rubber walled fate. What came next was not what I expected. Instead of calling for the men in white to put me in a straight jacket and whisk me away to Shady Brook Farms, or wherever crazy mamas go these days, he started to ask me questions. Questions about my schedule, my life, what was going on with me. I slowly offered up the details of my quest to climb the corporate ladder at record pace with a big promotion and transfer to a new company, a husband that traveled 80% of the time for work, the recent not so smooth sale of one home and purchase of another, an extremely active 2 year old with a large vocabulary and vivid imagination who kept telling me about “the bad man” in our new home who had contributed to my haunted visions (squeaky wood floors and a skylight didn’t help) and then the recent death of a good friend’s husband, he was only 40. “That’s a lot to go through in a year,” he said. As I watched him digest all the crazy I had just dished up for him, he looked at me with this quizzical, sympathetic expression. “You aren’t going to an institution” he said, “you’re going home and to bed”. He clearly thought I was crazy, but not in the textbook way. Yep, I was definitely certifiable, but only for thinking that any human being could survive all that unscathed. Although this isn’t a real medical term, the only way to describe what happened to me was a nervous breakdown. It was a combination of prolonged untreated postpartum depression, severe sleep deprivation and traumatic stress. I have dealt with mental health issues almost my whole life. Depression, anxiety, you name it. It occurred to me when I got pregnant with my first child that it might be an issue. I mentioned it to my OB so she would ask the right questions. The problem was, I didn’t give the right answers. Have you ever heard of a high functioning alcoholic? Well, I’m a mental health version of that. I’m type AAA. I’m a perfectionist, I’m a go getter. And I put on a really good show. There were signs from the start of my pregnancy that everything was not all right. That I was definitely not all right. 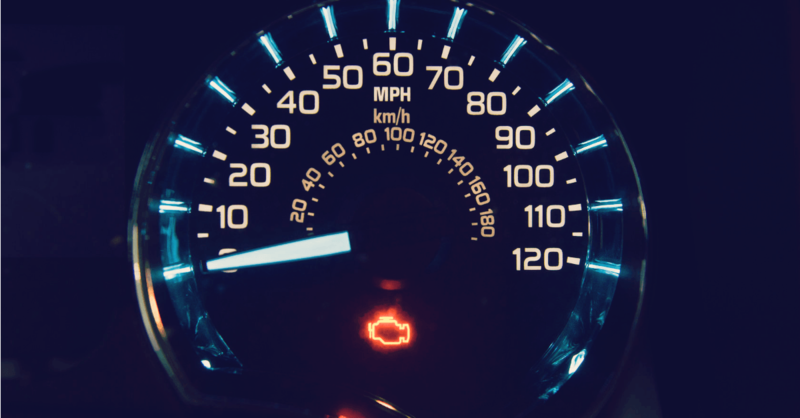 But I kept silent, stupidly pushing forward, even though my engine malfunction light was beaming brightly at me from my own internal dashboard. Then in one night, it all broke-down. And there I was, sitting in my car in an empty parking lot before daybreak. Alone. Scared. A failure. Crazy. I had months of panic attacks afterward. It took me almost a year before I was sleeping anywhere close to normal again. My husband had to take a job with no travel. We sold the haunted house. I left my corporate job. We moved to another state to be closer to family and to have a better support system. I turned my whole life upside down, because I had been ashamed of my mental health history. I didn’t want to admit my limitations. When I got pregnant, I felt like it somehow meant I was already going into motherhood diminished in some way. Less than. Perfection was the goal, and I resented feeling like it was out of reach for me. It took me years to come to terms with my breakdown. During that time, I learned to deal with my mental health issues like I would any other chronic condition. I get the necessary medical help, I take the appropriate medications and I adjust my lifestyle accordingly. I’ve rebuilt a career I love, my marriage is strong, and I am a damn good mother. I look like one competent human being, and I am one. But anyone looking at me from the outside, even those closest to me, would have thought the same thing all those years ago. A mother with with postpartum depression, any person with mental health issues, doesn’t have a look, or some telltale sign that says, “yep, that one there, that’s a crazy one.” It doesn’t define who we are anymore than diabetes or asthma, unless we let it. I’ve learned that we can’t hide from our personal demons or hide them from each other. Otherwise, we will all continue to buy into the fallacy that there is such a thing as “doing it right” and that our daily struggles must somehow mean we are doing it wrong. I came across this quote sometime in my recovery, “Depression isn’t a sign of weakness, it is a just a sign that we’ve been strong for far too long.” I think you can substitute any breaking point a mom may reach and it would still be true. Several years after we left Dallas for Florida, I can remember watching that toddler, who was now a full on boy, playing on the beach. His toasty tanned skin and blazing white blonde hair made him look like a surfer, like somehow this is where he (and I) were meant to end up. He turned his sea blue eyes toward me, and his smile rivaled the golden glare of the sun overhead. He was happy. And I knew, right then, that I was never crazy or a failure or less than. 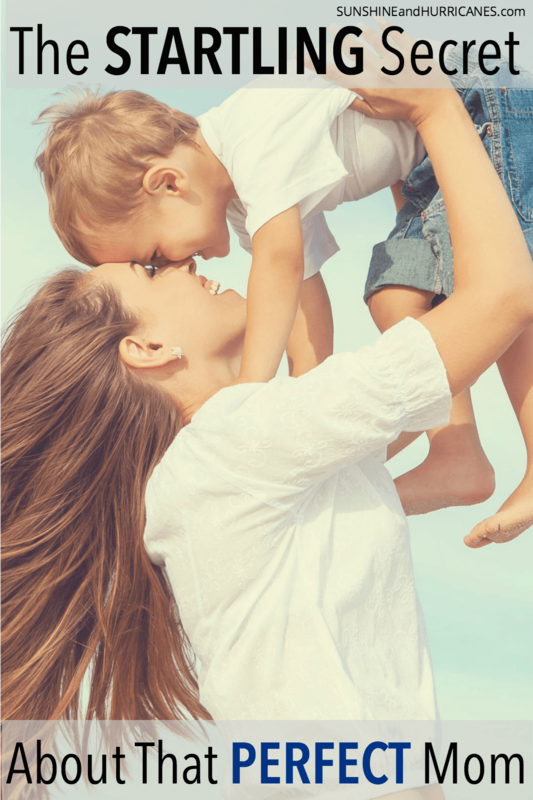 I was simply a mom who had been strong for far too long. 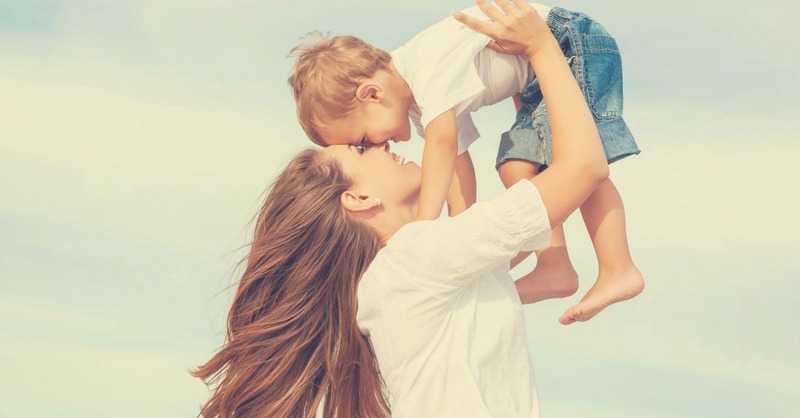 Are You Guilty Of The Motherhood Disclaimer? Do you have a story about postpartum depression or other mental health issues that you’ve dealt with as a mother. Please tell us in the comments, you may help another mom who needs to hear what you have to say. Wow… I struggled greatly with post-partum. Add to that a severe reaction to Zoloft. I knew it was bad. I didn’t even try to hide it. Went to my OB, the nurses watched my child during the Pschyc eval… I have never forgotten those moments. “Yep, you are suicidal! Unfortunatly we are a grants based town, and there is no help available for people with insurance. You should probably seek a psychiatrist.” I was given my son, and sent home. I lived halfway between Yale and Harvard, and couldn’t find ANY POSTPARTUM HELP. The only shrink I could find without a 6 month waitlist told me I was not post-partum but bipolar, and needed to stop breastfeading emediatly so I could go on lithium. My councilor went through the DSM4 with me, and I choose to ignore the bipolar dx. My family doctor agreed and was pissed that I went to him in the first place. Even when you are open and begging for help… The idea that someone isn’t in love at first sight is foreign. The person who saved my life… took one look at me, and my screaming child and said “I hated this age.” It was okay?!? I’m not all better, but I’ve found far better doctors and support. Don’t Give Up. Mrs. Sunshine is right… it is okay to ask for help… Parenthood is a flippin’ Hurricane sometimes!!! Thank you for sharing your story. I had a similar experience. After I had stopped nursing our second son my mind and body seemed to turn in me. Although as you stated I knew for years something did not feel right. My husband and I went away for 1 night, the first time since having our then five and two year olds. I could not sleep and was nauseated the entire evening. I thought I missed our children. When I got home the feeling did not go away but only got worse. I thought I had the flu although I knew this felt much more permanent. Crying, not eating or sleeping became my new routine as my husband continued to have to leave us for work since I was a stay at home mom. I did not have a happy spot. I was so disappointed in myself for becoming this needy dysfunctional wife and mother. There was light at the end of the tunnel. I did get help. My Doctor prescribed an anti anxiety medicine that worked immediately. Now that I knew anxiety was the cause of these horrible feelings I took other steps to calm my nervous system. I changed my eating habits stopped drinking alcohol and had weekly sessions of reflexology by a compassionate therapists who knew her stuff. These days are gone now but the wisdom I gained through the experience will always be with me. Thank you for talking about it Kira. It’s so hard to open ourselves and let go of what is shaking our world. But it’s by sharing our stories that we’ll get a chance to overcome our own fears and help others realize they are not alone and that there is help, we need help, we are only good mothers having a tough time. I loved this post – thank you for sharing. 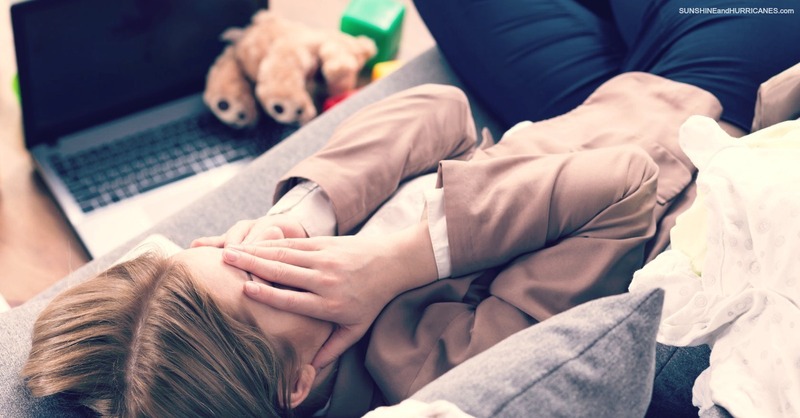 So many of us damn good mothers feel ‘like we are doing it wrong’ and hide our crazy thoughts! Loved that you started a dialogue and offered resources to help as well. Thank you, from one crazy mama to another! Oh my dear, you are braver than you know. I went through this myself and have never had the courage to open up about it. Reading this makes me feel better because it just shows that we are miraculous creatures. I began drinking heavily, wasn’t sleeping, exercising to the point of vomiting and barely ate. If it weren’t for my child coming up to me and telling me that she thought I was perfect out of the blue, I never would have asked for help.